What new parts of your self are you discovering? It is quite common to dream of finding new rooms in a house. It may be the house we live in now, an old house or building we remember, or an entirely new and different dream house. While dreaming of particular rooms such as the kitchen, bedroom or bathroom can each have their on symbolic meaning, this post is specifically about the dream where we discover a new room in the house, one we did not know was there before. In dreams of new rooms in the house, our feelings and reactions to this new room, or the series of new rooms will give us important clues as to how this relates to our lives. Do you feel awe inspired, excited and amazed? Do you feel a sense of nervousness and trepidation? Or do you simply not want to know, and decide to lock the door and keep this room hidden, a secret? New rooms in a house in a dream can relate to areas in our lives where we are discovering new skills, abilities or strengths within ourselves. While we may feel we know who we are and what we are capable of, dreams of new rooms invite us to open our minds to the possibility that we have even greater potential than we thought. New rooms are like an extension of ourselves. Just because a house is built does not mean we need to move out when we need more space, we can extend and build to make the house accommodate our growing and changing needs. So too can we extend our own personality, to embrace new ways of living. Dreams of new rooms invite us to look at what we thought were our limitations, and to recognise that we can move beyond them. How the room is decorated, who is in there with us, and what other furniture and items we see there can give us clues as to what area of our life we are expanding. 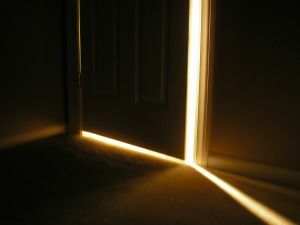 Turning the light on in a dark room can be like shining the light of our conscious mind into a part of our life that we may have ignored or neglected up until now. Finding old momentos from childhood may indicate hobbies or past-times we gave up but now have new significance, and maybe are able to return to. Feeling that we haven’t been here for a long time but are returning, can also be a sign that we are getting back in touch with important areas of our lives that we may have forgotten. Clearing out or throwing things away can be a sign of letting go of old behaviours or beliefs that held us back, and clearing space to let a new confidence in. Finding rooms grandly embellished and furnished luxuriously can indicate we have come to a very rich and rewarding part of our selves. Maybe we are expressing ourselves freely for the first time. Opening the doors and windows can be a symbol of being open to new ideas and opportunities. Like fresh air coming into the house, so too can a fresh and revitalising energy flow though our lives. If we met people there, and are welcomed in, this can be a particularly potent symbol of reaching and getting in touch with new aspects of our personality. If we unlock the door to enter, this can be a symbol of “unlocking our potential.” We may even have recurring dreams of many new rooms over a series of dreams and different nights, as our new life starts to unfold before us. Are you ready to embrace your new potential? It is not unusual to feel a little nervous as we first discover these new rooms. After-all, we think we know ourselves quite well, so to suddenly stumble upon new capabilities within ourselves can take a little getting used to. But if we react to this room with fear, and lock the door or decide to keep the room secret, this could indicate a sense of shame or a concern that we can’t let others see the real person that we are. In many cases, this can lead to stress and frustration, as there is a very important part of our life that we keep secret. If we are unable to integrate all aspects our life and personality peacefully, this may lead to recurring dreams, anxiety and health problems. It might be helpful to start sharing a little of our true self with someone we can really trust, or alternatively, doing something completely new with a group of strangers who have no expectations of us and therefore will not judge. This could be taking a drama class with a community group none of our friends know, wearing our outrageous clothes when away on holiday, or reading our poetry as a volunteer to the elderly. Whatever it is, the important thing is to find a way that we can express ourselves, and live true to who we are. Volunteer work is great for this, as people will be grateful for things that matter, such as your kindness, and far less likely to judge you for superficial things. Dreams of new rooms can be exciting dreams of emerging new potential and the promise of growth and experience. If we explore these new rooms bravely, and embrace the chance to learn and be more, new room dreams can be a gift that takes us beyond who we thought we were, beyond our self imposed limitations, and lets us break through barriers to expand in ways we may never have thought was even possible. I have recurrent dreams about finding hidden living areas in houses. These houses sometimes are mine or ones I have lived in, or in the dream they are houses I am visiting or looking at to buy. The hidden living areas are most often dark, spider webby, old, and filled with boxes or abandoned stuff. They are usually furnished. I usually get a feeling as if I am watching a scarey movie. Usually the rooms are living areas which include bedrooms, bathrooms, etc., and fill either an unknown attic or basement. In the dream I usually go off by myself exploring and discover these areas. My initial feelings are ones of wanting to explore a potential increase in living space, but then my feelings turn to anxiousness and fright. Last night I dreamed that there was an opening off of my bathroom in which I discovered an entire sealed off bathroom adjacent to mine. As usual, it was old and looked like it hadn’t been used for years. I find the symbolism for “new rooms” interesting, but would old, dark living areas have additional meanings? Is my brain telling me that I have “old, dark” parts of my personality that I need to address? Or that I am afraid of something? The only recurring dream I am aware of ever having is one of finding new rooms in an old house. I searched the internet to see what this might mean because it always creates such a strong feeling in the dream and it is one of the few dreams that I consistently remember when I wake up. It was quite surprising to find that someone with my last name has had a very similar dream. Unlike the dream described above however, there is no anxiousness in the dreams I have of finding new rooms. In fact, it is always a wonderful, expansive experience. In my dreams the rooms aren’t hidden in any way they are simply unused for no apparent reason. They are fully furnished and usually quite luxurious large open spaces with large windows and often a fireplace. The rooms I discover are always in ‘my home’ but the home is not the actual house I live in. Nevertheless, there is no question that the feeling I have of the house is that it is my home. In these dreams it is common for me to become conscious of the fact that I am dreaming and then fool myself by writing off the first set of rooms as a figment of my imagination only to discover other rooms in a state in which I believe I have already awoken from my dreams. I’m pretty sure that these dreams are common or they wouldn’t have a section about them on this website. Interesting coincidence on the last name! My dreams, although anxious and mysterious, are also accompanied by a sense of loss, as in the end of an absorbing adventure and back to reality. I too have these dreams, probably once a year. I am astounded that Jeremy has described my experience precisely! Usually, I discover several awesome unknown rooms in the basement of my home (once in the garage) that are nicely decorated, warm and inviting. But this time, I did exactly what Jeremy described. I thought I awoke from the dream, dismissed the new rooms with a feeling of loss, only to discover more new rooms because I was actually still dreaming!! Now that was a first. It made me think of the movie Inception with all the dreams inside of dreams. Unbelievable that someone else has this exact same recurring dream. What an inspiring synopsis of this phenomenon and wonderful place for us to share our experiences and meet each other electronically. I find it truly astounding that “separate” humans can share almost “identical” dreams. Recently becoming a high school teacher, I am adjusting to waking up with an alarm clock (often not remembering dreams) but I too seem to remember dreams of the “hidden/forgotten” rooms. I’ve had three recently, and remember them all vividly. Have not yet been aware that I was dreaming. What I love about the blog above is that it helped me consider that even though I don’t have the exact rooms in the dream, I already possess facets of them. I have spent the last year remodeling my home (a family home; I am the 4th generation to reside; this is my first year in it). The dreams have included a tall-ceilinged, shiny wood, unfurnished library/office in a secret wing, located in the middle of a beautiful prairie/garden. Though I don’t have this, I have created a space for myself with similar zen characteristics. The dream is reminding me that I should start using it; that I “have” it in a sense. Like you pointed out, Jeremy, the rooms are not in my “real” house, but the house is always “mine” in the dream. I am a lyricist and aspiring musical performer. I too have had the dreams Jeremy described, on and off for my whole life (I even remember having one as a child). It is almost always a happy, wonderful discovery of an entire new section of my house, furnished, warm, inviting, clean, spacious. It’s not the house I currently live in, sometimes it’s a house I lived in long ago, and I’ve dreamed about some of these houses more than once. Sometimes the new spaces I found made me say “what the heck would I ever do with this?” and once twice (around the time I was giong through a divorce) “oh no – I forgot about all that junk in there.” Other times it was “wow, I don’t remember seeing this before, how did I miss it?” And sometimes “I feel really safe now knowing I have this in reserve; things are going to be OK after all.” Just had one of these dreams a few weeks ago and googled it and — guess what, I am not the only one! Strangely reassuring. But also they make me think I need to know myself better. I have exactly the same dream, which just pops up every now and then, have been having this dream for over 20 years. I believe part of it relates to initially aspiring to having a large beautiful home, which I did eventually have, then lost it years later, but still have the dreams, always feeling that I had never explored or used these rooms to their potential. Always feeling that I should have known about these rooms before. Perhaps the real me trying to get out and being me? WOW! Nancy Harrison, you’ve described my dreams exactly! I have had this recurring dream of finding hidden living areas in my house and other houses for so long. FInally, after having the dream again this morning, I got up and googled it. In my dreams, I am usually excited to find these rooms. It’s funny because the symbolic meaning makes sense, but also, in reality, my family has outgrown our small house, so I often wondered if that is the reason I’m excited to find more living space! Either way, my dreams are very similar to yours. The rooms are unfurnished and look like they haven’t been used in years. Sometimes it is in my own home, sometimes in homes I am looking to buy, and I’ve even had this dream about homes I have lived in years ago. In last nights dream there was a big flaming furnace in the room I found–sort of creepy now that I think of it, but at the time, I was happy to find it! Wierd! 🙂 I wish I knew why I had these dreams. In a way the rooms draw me into them in a creepy kind of way. I want to see them, but at the same time I am frightened. Wish I knew why. I too have the exact same dreams. Findings new rooms or even wings in a house that I know is “my house”. I am always so happy to find them and they are “exactly what I need”. After much reflection I feel sure the I am the house and that the new rooms are facets of my own personality that I am not currently using. Or maybe skills or aptitudes. Once I had a job that was not at all fulfilling. I could have done it in my sleep. I began to have the dream nightly or even several times in one night. It was driving me crazy until I realized that I was wasting away in that dead end job. As soon as I changed jobs,(it was a challenging job) the dreams stopped. I think that for me, this dream represents a kick in the pants to go out and do something great. I too have had this recurring dream over the last few years. It’s always large houses that aren’t very extravagant or fancy but I continue to find hidden rooms fully furnished with large comfortable beds. I’m always happy when I find the rooms and they are always bright and sunny. My first thought is always how I can fit more family members in my home because there is a room for everyone! When I wake up, I wonder why I keep having this dream. It isn’t because I really want to live with family because I’d go crazy if I did. I sometimes think that maybe it means I want my loved ones near and want them to be comfortable…I don’t know. I also can’t help but wonder what I’m supposed to learn from this dream because I have it so often. There has to be a reason for it. Now I am concerned because I haven’t had this dream in quite some time. What does that mean??? Ive been having this dream and ive had it quite a few times before. i have no idea what it measns either i was wondering if you could help me. i always walk up a mysterious staircase, its dusty and dark and i always meet someone or something. they are sort of creepy looking and lour me into things. the room has alot of wooden floorboards and ive been having this dream many nights in the room and i have no idea what it means and to be honest im starting to get worried. please help! My search on the net didn’t come up with any results for this particular dream, but it seems along similar lines to the ‘room’ one. Can anyone analyse for me? I have some very similar dreams. Sometimes it is a whole new part of town, sometimes is a an interesting “bohemian neighborhood” (for lack of a better description) or business section in a part of town I thought I knew well. Occasionally it is a recreational spot like a lake or hiking/biking area (which I actually do seek out). I am always happy to find these places and only disappointed in that I had missed them previously. I can’t quite believe I’m reading this, I’ve had dreams about viewing houses and finding endless rooms leading to more rooms for years. They are always so exciting but disappointing to wake up from. More recently I’ve been having dreams about new parts of my town I never knew existed and big shopping centres, again they are always so exciting and I am gutted when I wake up and realise its not real! Amazing to know other people have these dreams too. I recently had a dream in which I rented a new flat and continued to find more rooms than I initially knew the space to have. I was excited about the rooms and showed them off to a group of friends. Then, I ended up giving the flat to a woman that I had a particularly nasty falling out with in my waking life. I moved back into my old apartment, only to feel melancholy that I had given her the flat. Thoughts on what this might mean? Perhaps things are not yet resolved between you and this woman, and you are attempting to resolve them in your dreams by giving things that give you pleasure to her. Did she control you in your waking life? Perhaps you still feel controlled by her on some level, and you are still giving to her. I don’t know. I’m not a psychologist. Just throwing out thoughts. Wish I could understand my own dream, the original one on this post. Last night I had a similar dream. I discovered that my house had a large basement but the basement kept going, there were additional doors to new rooms and stairs to other floors. I remember thinking in the dream, “I can’t believe I didn’t know this was here all this time.” I felt curious, bewildered, somewhat awestruck, perhaps a bit overwhelmed. The rooms were not opulent or cozy but rather in unfinished condition. There were people coming over in the dream or rather they were at the house discovering it with me at some point. At the end of a dream a woman with an accent appeared saying she wanted to live in the basement room so badly that she moved in without asking and insisted that she clean the house as rent, since she didn’t have money to afford it. I was fine with that…how bizarre. I wish I could remember more since this dream appears to be important. I am so freaked out to find this post. I didn’t realize this was a semi-common dream. I’m always walking through my old house (or some random house which I live in) and I find a little passageway that leads to new rooms. And I always want to live in the new rooms because they are large and nice. Sometimes I have to crawl through the passageways to get to a new room in the dream. I’d say I have these dreams once every few months and I always love them! Never any fear. Just cool to find new rooms in “your” house. Very neat to know that other people share this phenomena. hey I know its been almost 6 years since your post…..but i just came across this site… I also have to go through a small space/passageway and then i see huge open rooms and open areas. Last night’s dream I was discovering these new places with my family accompanying me. at one point, I had to lower my head a little to go through a “hall” but it was metal pipes and it looked dark and scary…but i remember telling myself in my head that I could do it; i could walk through alone in the future if it meant finding these new areas. weird. really cool to see you also had to go through some passageway first like i did. I used to have dreams about the house I grew up in, while I was still living there. Not really finding new rooms, but areas of the house like hiding spots. Little holes in the walls or gaps between closets with tiny doors that the child me could barely fit through. I wouldn’t know I was dreaming and would be hiding in these spaces, keeping quiet and just listening to my family move around me and wonder how long it would take for them to realize I was missing? Then I would wake up and try to find these places, and feel disappointed because they didnt exist. I’ve had the same dream as you are describing many times. It’s always a large older house (which is entirely new to me) and I keep finding great little rooms that I hadn’t explored. The last time I found a little staircase outside my bedroom which ended in a loft that I didn’t know existed. It was so exciting! Some of these dreams I remember for many, many years and still bring me a sense of peace and calm when I remember them. I’ve been having these dreams most of my life. They started with a business building that I would go into and find all of these really cool stairwells, slides, indoor pools, etc,and I would walk around in awe..then, as I got older, they would be the house I lived in, or perhaps, my grandma’s house from when I was a kid. Last night, it was a house I was about to rent. The rent was really cheap but the place was kind of small, and at first I wasn’t sure how I would make it work for my kids..then, I went downstairs into the basement, and it seemed to go on for city blocks. same as someone else described-cozy, but unfinished, and there were heavy glass doors (much like you’d see at a mall) and I could look through them to see other people’s basement apartments-usually furnished like a studio… there is always a wide hallway leading to a mall, and I’m excited to think that I can take one step from my home, to the mall, without going outside. my basements are usually dark and cluttered with boxes and cobwebs, but I sense potential when I see them. There’s gotta be some meaning in this, I just don’t know what. So weird. I never know how or why I am there, but you mention slides. I find stairwells, little cutouts that I climb thru, in which I have to slide because I barely fit…then pop out in a new room. My earliest dream of finding hiden doors started when I was about 7 and found a door leading to a hidden, endless attic of a church that was down the road from the house I grew up in. I have never been in that church to this day. The dream was scary.. I was running from someone and the floors were unstable planks that would break under my feet. I’ve had dreams of my own home or houses I’ve never seen, or buildings… I’ve opened doors that lead to the outside; in the dreams that open up to the outside are never good ones. It’s always scary looking or something bad happens. 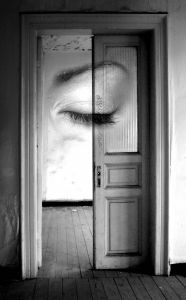 Most of my dreams of finding doors usually lead to exciting interesting things that in my dream I want to share with my loved ones. I never feel like the rooms I find belong to me though. I’ve had countless dreams like these that I now think I’m automatically excited and willing to explore the never ending doors and rooms. I usually never remember my dreams but I’m pretty sure I remember every one of my hiden door and rooms dreams. I always wake feeling like there is a reason to me having these dreams and remember them all. And I anxiously wait for the next time I have one, which could be next month or 2, 3, or even 5 years from now. At last a fellow dreamer who has scarey dreams like this. I posted before about how my hidden rooms are always old, dark, and spider webby, cluttered with stacks of boxes or old dusty furniture. Most of mine are pleasant. The doors usually open up to huge, organized and very clean rooms with beautiful and unique things in them and are usually very bright white rooms. But I have had a few that scare me..if the door opens to the outside it’s never a pleasant place. It’s usually dark and deserted like a bomb went off. The sky was once red in one of my dreams. And a few of my hidden door dreams opened up to what I’m guessing was attics that was dark and dirty. They always had unstable wooden floors and I could never find my way back using the doors I opened to get there. PMV, these are similar to my dreams. I’ve only begun to dream these dreams in the last year or so. I dream about once a month that my family just moved into a new home. At first, I am excited that the new house is large and has so many rooms. But while the main rooms, including the living room, are very nice and livable and spacious, in the extra rooms I discover, I find a lot of clutter left by the previous owners. And then I don’t know how I can possibly clear all that clutter out. Turns out, all these rooms and extra space I just found is basically unusable to me because of all the junk in them. It is usually stacked boxes, old books, magazines, etc. The extra rooms I find are often multiple bedrooms with too many beds. One time, the house had a second kitchen that I thought would be extra work to keep clean. I always have mixed feelings about my dream houses – at first, glad about the large size and so many rooms but then anxious about how I am going to get out all the clutter to make the space usable. The house and the rooms aren’t dirty but just absolutely stuffed with items I do not want there, and I find myself mad at the previous owner for not clearing the space by taking all of their junk with them. The house itself is usually in a nice setting with a lovely back yard and in a nice neighborhood. This is an interesting blog. Enjoying very much reading all these different dream accounts. Hopefully, sharing them can lead to some meaningful self-discovery or reflection. i know your post was some time ago, but i just awoke from a hidden room dream that was interesting with an eerie undertone. i had a watered down version of this dream earlier this year, but this time was different. i felt as though the home was mine but i wasn’t supposed to be there. in my last dream, there was a small opening at the bottom of the wall that i climbed through and entered into a huge “wing” of the house which makes no sense to me because the house isn’t that big at all. at the top of the wall, there was a space where bees had taken over and all you could hear was buzzing. i hadn’t done anything to decorate the space as of that dream, but in having it again just an hour ago, i entered the space and it had all been decorated even though i’ve only had this dream twice now. my boyfriend was in the new dream and i brought him in to eliminate the bees but they were already gone. to explain it makes me feel like a crazy person, but i wanted to say that you’re not alone in having a dream of this type that isn’t all puppies and flowers, and to also see if something has happened since your last entry. hope all is well! Recurring dream about huge, lavish house. It’s usually different but always awe-inspiring, exciting. Often the rooms are opulent but sometimes they’re cluttered as if someone lived there and moved unexpectedly and I’m the custodian of all the junk but there’s wonderfulness in them. Most often the dream is I’m alone and discovering lovely rooms in a home I don’t yet own but have some connection to, as if I’m going to buy, but last night I really wanted others to see the beautiful rooms. The house was mine and I was proud of it, but my friends didn’t expect me to live in such a home and I knew it. We were having fun and drinks downstairs and I coaxed them into a self-guided tour of the second floor which featured very ornate bedrooms and huge marble bathrooms everyone “ahhed” over. In another of my frequent “house” dreams, it is a once-grand but run-down home that is haunted and has this industrial-sized kitchen at the front of the house that is horrible, rusted out as if by a big fire. The haunting is related to the kitchen and settles mostly in the front of the house, a wide, grand entrance way and staircase. In my dreams that house is still owned by my family–my late stepfather bought it–but we moved into another, nicer home. In one dream I and my extended family lived in the back of the house because the front was so unpleasant and I knew it to be haunted. The funny thing is, in my dream last night of the very upscale house, there was a fully stocked kitchen with tons and tons of food that I just realized was there, and helped myself and my friends to it. The only part of my new door dreams I think I have figured out are the scary ones that open up to the outside of the house. I’m pretty sure it represents my fear of letting my childhood secrets I still hold inside to this day, out in the open. I feel safer in the house…. I that makes any sense. I love my hidden room dreams! I do believe that, like the description at the beginning, these dreams are telling us that we are opening a new part of our lives or personality. When things were rough in my first marriage, I had a hidden room dream that included a huge video game arcade and Hulk Hogan telling me to have more fun. I did (after I left my jerk of an ex-husband!). The most recent dream just happened about an hour ago. It had to do with a new (very large) kitchen and dining area in my current home. There were many fantastic antiques to play with as well as new (and currently undeveloped) technological devices. The people there were family and friends and they were all helping me and were happy to do it. Grandma was organizing the China we found, a former student was cleaning out the gutters outside, my brother was rearranging furniture… I think this means that lately I have felt overwhelmed with things to do, and that it is OK for me to accept, and maybe even ask for, help. It doesn’t mean I am weak. My “new room” dreams are generally positive and upbeat with a definite message. They also seem to occur when I consciously realize that I am not happy as I should/could be and need some sort of change. Then my unconscious mind, I suppose, tells me what I can do. And ironically, my horoscope today said “Your dreams are giving you interesting messages — are you paying close attention?”. Well, I am now! The rooms represent parts of ourselves. If you feel trapped it can be expectations that others have of you. The bigger the house, the greater potential. Searching rooms in your dream is the mind trying to get you to look at different aspects of your life. If you make a diary you may well have more dreams and learn a lot about yourself. The mind has amazing potential. I have sometimes been astoundedat the change possible when doing dreamwork with clients who have had traumatic pasts. What about my dreams? I always find new areas to a house or home that I didn’t know were there, but they are always old, worn down, stacked with clutter. Only in one instance was the room light, but still old, dirty, and broken. Dear Nancy, I think you know the meaning of seeing these darker rooms yourself. Deducing from the general theory/explanation of “discovering new sides of oneself” (which is perfectly plausible and the first thing I thought when I had these ‘room-dreams’) that you are becoming more conscious or aware of your complex inner Self, I can only imagine that there are parts of you you do not wish to acknowledge or are wary of. It may also be the case of some kind of new knowledge that your subconscious perceives as “dark”, ie if you are exploring new, potentially dangerous grounds like the occult, magic, anything you associate with darkness or fear. One possible solution would be to try to understand what those rooms are referring to- is it a side of your personality you cannot accept, a character trait that is repressed due to personal or societal non-acceptance, or a new area of life you keep discovering bit by bit. For example, some people have trouble acknowledging that they are unconsciously drawn to, say, religion, but consciously they reject every thought that comes up on this subject. Only an example. For the past year i have been having weekly recurrent dreams of a house, sometimes I dream that i have a house that i had forgotten about – (or a house that i was not aware that i have – but in the dream it is as if i am being reminded of this house), in the dream this house was been rented by people i have not been collecting rent from and that they have not been taking care of my house. in other instances i am in my house, but i discover that there is some backrooms, which i was not aware of, those rooms have not been stayed in, they are dark, dirty and have cobwebs, but in my dream I am excited at this discovery and i look forward to cleaning the rooms as i view them as an extension of my house. This dreams are very vivid and when i wake up i can almost feel a strong sense that the dream is significant and that i must know what it means. Can anyone tell me what this means? I grew up in a highrise building and I often took the backstairs to the lobby. I have a recurring dream that I go into the basement of the building and open the door to the boiler room (which was forbidden). There is sometimes an empty disco there or a cafe or a swimming pool. And I walways have a feeling of suprise and almost irritation that I should have known it was there. I also often dream about my grandparent’s appartment. They passed away may years ago and I loved them dearly. Their apartment always looks different. And, I often dream that although they have already passed away, the apartment is there. The dressers are filled with all kinds of random things and I spend time going through them and looking at everything. I can’t recall if these dreams give me pleasure or stress. I have had the same type of recurring dream. Usually I am in my grandparents’ house and I am so happy to go to the ‘hidden rooms’ that just a few of us in the family know about. It is always familiar and beautiful to me, though there are a couple of variations on it. Unfortunately today, I was having this dream during a nap, and when I excitedly opened the door to show my ‘secret room’ to some close friends, the place was desolate: completely gone, just cement, sand, and nails, like a war zone or a construction site. I was so upset when I woke up! I tried to desperately to go back to sleep and change the dream, but I couldn’t! I think I know why it was this way this time – there are many people among my family and friends who are ill or simply ancient, and near death…but now I am trying to figure out what I can do to bring the beautiful rooms back! It is very depressing to me that just when I needed those beautiful rooms, they have disappeared. Very intriguing. I’m so happy this article exists! Now I’m sure that finding these rooms is prompted by some kind of feeling or life event, however the room I found in my dream seemed less important than what was happening. I don’t remember specific items, however I do remember lots of clutter. I was seeking shelter from a bad storm outside that was knocking down trees and busting out windows.the most interesting part though is the fact that my family went to an existing room in the house.. It’s like I wasn’t satisfied, or even secure with the rooms that werereal. The room was small, and definitely not cozy. Hmm. Indeed, very intriguing. I’ve had an expanding house/hidden room dream just about every morning for the past five days. When I woke up this morning my partner searched it for me and found this blog. It’s great to hear all the inspirational and even darker dreams we are all having. I think especially the frightening and unwanted dreams can direct our attention to new and deeper ways of healing ourselves and understanding the astonishing depths of our psyches – how we are all connected at that level. My dreams usually involve me finding myself (and current family) living in my childhood home in South Tucson. The house in waking life is a very humble, 1950s track-type home in an area were some of the houses have been condemned, and gang/drug activity is rampant. But, when I realize I’ve actually chosen to move back here for some reason I begin to find that the back rooms actually “always had” these amazing adobe tunnels that lead to Spanish or old-world courtyards with gorgeous gardens and high, brightly colored, painted weathered walls. It looks like the place has been forgotten and is in need of repair, but I always seem to say to myself, “Wow, this place has a lot of potential!”. I’ve been having dreams like these for about 5 years. One time it was in my childhood home, which, in real life, was pretty large in a desirable section of town. In my dream, I was going back there as an adult and showing a friend around the house. Upstairs in the master bedroom was a door I didn’t remember. I opened it and there were several more rooms, one after another. They were bedrooms with big comfy beds, but the rooms were dusky where you see the dust swirling in the filtered sunlight coming through the windows. I’ve had several dreams of an old home I had as an adult that my husband and I tore down and built a new one. In my dream it is the old home, but configured differently. It’s in a different neighborhood sometimes. There is always potential, but it’s so much work! Last night I had a dream where I had to walk up the hill from town to find something. I walked and walk, it was not unpleasant. I came across another town, more bohemian. It was inhabited by African Americans. I was fascinated as I never new this part of town existed even though I grew up nearby. I like the explanation that these dreams could mean potential in one’s self, and there are more exciting doors to open as I get older. I just turned 56, I’m single and have downsized in a big way. These dreams are making more sense to me now. The addition of a “colony” of people inhabiting the new area is curious to me now. Somebody get over here and spank ya homeboy till he dook himself! After mentioning to my husband that I’d had “another” dream about houses, I realized that I’d been having these dreams for some time. The focus is never the exterior, but rather the hidden rooms that reveal themselves throughout the dream. The experience is always positive, fun, exciting, astonishing! Yet, they are all very different one from the other; that is, the houses and the discovered rooms are very, very different. Yet, they are always discovered rooms on upper floors….never basements or even ground-level. Once I made the discovery in a very modern house just a few steps up. Once in a very old house with a dusty stairway up a couple of floors revealing a doorway to a huge room filled with table after table of tools, small implements and very interesting items (some very old and rusted). Once a doorway up a hidden stairway that opened to a huge apartment (very dated in style) that had a magnificant veranda overlooking some city. I love these dreams! Each discovery leaves me happy when I wake up….with a clear memory of the joy of finding each of these wonderful spaces. I hope I continue having them….and I also hope that one day I’ll find some of my loved ones (now passed) in these rooms. I’m absolutely amazed, as I’ve been having thse kinds of dreams maybe once or twice a year since childhood (I’,m 60 now!). As others have said before, it’s always a big OLD house, that isn’t ACTUALLY my house but yet it IS!!! I go up stairs to familiar bedrooms, then somehow discover stairs leading to an upper floor where the layout of rooms is identical to the ones below, except everything is old and dusty and full of cobwebs. I am always astonished as I didn’t realise these rooms existed, and sometimes they open out onto a kind of roof garden with chimney pots. As others have said, it’s a pleasing experience in the dream as you start to plan what you will utilise this new-found space for, and then you wake up and feel disappointed that it wasn’t real. I thought I was the only person to have this dream ntil I discovered this blog!!! this is amazing i have the same exact dream. the whole thing that i was dreaming but in the dream i wasnt deaming. the room stresses me but at the same time im relieved to have found it. crazy! There’s GOT to be a logical explanation why so many different unrelated people from different countries all have virtually the same dream. Is this some kind of external force or intelligence acting on our minds, or are we all somehow sharing a common psyche between us?? It’s like the Twighlight Zone!! I have almost the same dream. Sometimes I dream it once a year or so other times I might dream it 2 or 3 times a night. I am in a house, which I know is my house, and I find new rooms. This makes me very happy. It is always just what I needed. I take the dream to mean that I am slacking about something in my real life and need to step it up. When I do, the dreams go away. I too have had this dream off and on for many years. I find a new staircase in my house which leads to an entire floor I didn’t know existed (although it doesn’t often look anything like my real house, but it “feels” like it is my house). The rooms are spacious, very lavish, but somewhat abandoned. a little worn and dusty, but very extravagant. I am excited at the prospect of the added space, and intrigued at the possibility of what I could do with this space. Even though they feel a little worn, they feel very comfortable and comforting. I am filled with optimism about what could be done with the space. I am also confused as to why I never realized this was here before. I have interpreted this to mean that I have some potential I didn’t previously recognize. In my dream have a very cool staircase with ornate walls and banisters. My wife is in the dream too and I comment on how we should take advantage of this space in our house that we never use. I even say we should hang pictures of the kids on these walls. I have also dreamed that many people were walking through our very large home on the way to somewhere else and I say ” hey this is a private home”. i always feel good about the discovery of unused rooms. like i knew there was more. I never realized this was a common dream. I’ve been having this dream for years. It’s always a house that I’m looking to buy, or have just bought, and I discover a whole wing no one knew about it. It’s usually dark, half ruined, and empty (though sometimes they’re nice, attractive rooms.) It always makes me feel uneasy. The explanation someone gave above about it representing parts of your life or personality that you’ve repressed or kept hidden, makes good sense to me. So, thanks, interwebz! Further to my previous posting in January, here’s an interesting addition…a kind of “twist”. My wife and I just spent a week on Holiday in Tenerife, and through our holiday exchange club, we stayed in a nice appartment, just the two of us, so we only needed a one bedroomed appartment. Our bedroom was actually up a flight of marble stairs, opening onto a balcony where we could sunbathe in private. Downstairs, was a huge living space and kitchenette, with a bathroom off of it. For the first few days, we spent most of our time either out at the beach or by the pool, and it wasn’t until the third day that I became aware of a brown wooden door between the kitchen area and the bathroom, that we had thought was just a utility cupboard. When I opened the door, there was another large double bedroom with it’s own en-suit bathroom and yaet another balcony!!! I immediately thought of the dream we’;ve all been talking about on here, as it was spookily like an actual real-life representation of the dream! OMG! someone’s extra room dream came true!!! that is crazy! Life imitates art (dreams too). I like that statement. I’m an art teacher and I have these amazing dreams since childhood that I find these extra doors in my house. I’m always open the doors and find not only one room but many rooms extending into more rooms. My feelings are very joyous and one thing that no one else has mentioned in their dreams is the “colors”. That seems to be what stands out most prominent, then there are object/ things that are so awesome. When having these dreams I am always extremely happy to find these things as they seem to be very useful. Things I can really use in my life. Again, I just love the vivid colors. When I wake up I feel somewhat sad but curious because something new will always occur in my life. Would you please tell me what this dream iam having? Because it is somehow different but close to what u r talking about. Well in our house that is in my country for that iam not in my country anymore, but since i had this dream a couple of times and until now, they are all about the same new room that i discover in my dreams but in each dream i enter the room from another way, and i could find the way that last time i came from, well i remember the1st dream i had about it was that i found some place underground like a Duct, it was dirty and rusty duct as well as somehow dark i kept moving in it until i jumped down to some place which then i saw it was a really big room that has a lot of small rooms on its sides, and each of those rooms had trash and stuff but in fact i was scared to go inside for the room was creepy but the latest dream i had about it was that i found a different way, i jumped down and down till i found some duct to enter but this time the duct was shorter, when i jumped down and i found myself on the other side of the same room, still dark and with some metal trash and stuff, then i noticed there is was a small mirror infront of me on a little wall, i looked at it and as it reflected i could see some girl with long hair on her face standing behind me, i freaked out and looked behind me but found nothing, then i just looked at the room for a while but did not enter its middle and i was thinking what is this and why nobody talks about it? And as i looked on the other side i could see the duct that i came from the couple of dreams before it and all the dreams just go by themselves. What do you think this might mean??? Thanks very interesting!!! Pretty much the same kind of theme as the dreams I and many others get. But the bit about the girl in the mirror, and when you look round she’s not there…. That’s a classic situation that’s been reported in real (awake) life, and usually pertains to a ghost!!!! Very creepy!!! Well but i do not think there is a ghost or anything following me, i just love darkness and do not be scared of it, what do you think? I really don’t know what to make of it…I’m not an expert on interpreting dreams, just someone who joined in this conversation topic!!! Wow! I have been having these recurring dreams over the last 6 months they are exhilarating!!! Again last night a new house with new series of rooms, and outdoor gardens. I was googling and came across this post. I have been curious as to what these dreams mean. And now I know!! Many thanks !! Been having them forever, and admittedly, haven’t read every signle post here yet, but mine have lots in common. Always finding new rooms and it can be either a place I’ve lived or never lived. But 99% of the time the rooms seem to contain an “entity”, for lack of a better description, that is foreboding and wants to keep me out or do harm. I can never see them or hear them, just the things they move and feel such a heavy presence that it feels physical and I feel adrenaline rushing, its a very bad feeling. I try to stay out/away from these rooms and often wake up sweating and heart racing. They are ultra fightenting. Bethany, I can tell you what my dream means to me and maybe that will help you find your meaning. I also was very surprised that so many other people dream the same dream I do. Mine dream is happy like yours and I am always so glad I found it because it is just what I needed. Here is an example of one dream. It was the standard dream and I would dream it several times a night and it was driving me nuts trying to figure it out. I came to the conclusion that “I am the house” and that the new rooms are my abilities that I am not using. At that time I held a very menial job. I am an intelligent person and was capable of doing so much more. When I changed jobs and was challenged and succeeded then I was using my abilities and the dream stopped. I think of it as a “wake up call” to examine what is going on in my life and if I am really trying my hardest. Good luck to your on your search & sweet dreams. It’s amazing to know others have dream similar to mine, i’ve talked to many people and none could understand. I’m still unsure about the meanings of some things but i’ve come to a conclusion on my different stages in life. When i was younger i would dream of my old rundown house and being afraid of what was outside and would see all kinds of things trying to get in. I believe that as a child i too was afraid of the world outside in my waking life and afraid that i was not protected enough. As a teen i would dream of dark, unknown spaces that i was trying to discover, it was supposed to be my house in the dream but i didn’t know where anything was so i went looking around. I discovered the basic spaces and even a room that seemed comfortable enough to be my room but other places in the house seemed frightening to me. I actually had reoccurring dreams about this house and each time i discovered something new. There were many rooms and stairs, but there were many that i could not unlock until following dreams. I look back at the dreams of this house and realize that i was in a point in my life where i was discovering who i was. I was frightened of the unknown spaces but it turns out that they were obstacles in my waking life. Once i concurred some of my goals in real life some of those doors would open up. Whenever i would contemplate these big changes/obstacles/fears in my real life i would catch myself in my dream trying to peek inside one of these unknown rooms. Later in my adolescent/young adult age i would dream of walking into my real life house we had built but it looked completely different on the inside. Once again it was “my house” in the dream but i had never been in it before. There were so many spaces and each one had a different theme to it and in other dreams i later discovered hidden rooms that were absurdly large and hidden passages to different spaces. That time in my waking life was a time of new beginnings and new discovery of my self, and i now see that in all the different themes of rooms in the house. Some rooms were unfinished and had great potential while others were complete and furnished and there were some rooms where i just wanted to rearrange everything. I believe that, at that time, there were characteristics of myself that that were complete, some needed some rearranging and some were incomplete. Now i am in a new stage in my life and my latest dream involved a house under construction and that’s just where i’m at, building my life as an adult. I hope this information can help some of you. I’m really glad i found this discussion, it’s interesting to see how everyone relates to their dreams and yet how we can still have so much in common. I’ve had these dreams since i was a little girl and now +20yrs later they still continue to appear and i’m looking forward to many more amazing dreams of discovery. I usually have dreams of finding rooms that are cluttered, and sometimes filthy. Only one time in my many years of having dreams about finding hidden rooms have I dreamt about a room that was peaceful and bright and beautiful – the curtains gently rustled by the breeze from the open windows. Last night, in my dream, I was with my sister and brother-in-law and we started up a stairway. The steps were wrapped in brightly colored wrapping paper (like for birthdays, or Christmas, etc.). My thought was that someone had to make the steps “look good” in order for someone to actually use the stairway. Upon stepping onto the first few steps, I found that the steps actually moved a little bit with each step, and it felt as if there was carpet underneath the wrapping paper. But I kept thinking about the door at the top, and that someone had to make the steps look pretty in order for someone to actually use the staircase. When we got to the top, I reached the door first, and I opened it. It was dark, but I could make out shapes of old furniture and boxes in the room. My first feeling was disappointment, as it was just another dark, cluttered, filthy room. My brother-in-law had a flashlight, and he turned it on, and shown it around the room. The old furniture and boxes suddenly stood out, caked with about 3 or 4 inches of heavy dust and dirt. The light then came to rest on a chair, and the chair was not dirty, just old and well used. There were some child’s toys on the seat of the chair, and I could make out a little girl with long, dark hair running away from the light, as if we had startled her, and she was afraid. The little girl was me. Yet here I was, a grown woman standing just inside the room. Any thoughts? I often dream of finding rooms in my home, usually large, spacious bedrooms off an unknown hallway. All niceley furnished. I’m happy to discover these rooms, I excitedly go from room to room and even more pleasaed with each discovery. I think, ‘ah, now i have enough space for my family. My children can have their own rooms, nicely furnished with computers, tv, etc. Nothing to be ashamed of. Now everything will be allright.’ I’ve had this dream for years and years. So much so that while I’m having it, I even remember my previous dreams. I think, ‘ah yes, I’m here in the house I’ve long dreamed of.. and now it’s really mine.’ In real life, I’m middle-aged now, my children are grown and have moved away. I’m close with two of my children, but have been estranged from my oldest daughter for a couple of years. She’s unhappy and wants no contact with me or her family. During my dream, I’m often thinking that ‘now my daughter will have the things I couldn’t give her (when she was young), now she’ll be happy and she won’t leave me.’. When I awake, I’m sad to discover I was only dreaming and that she’s still estranged from me. I have a recurring dream where I discover new rooms in my house. It’s always my house but the rooms are always different. One time it was an entire second floor. Once it was another kitchen. My first thought is always the same in the dream – that the rooms havent been cleaned in 13 yrs (how long I’ve lived here). Last night I had a dream that my house had another wing I didnt know about – complete with a master suite. A lot of my ex husband’s things were in that part of the house. I remember a radio playing and I couldnt figure out how to turn it off. The suite was beautiful until I found the bathroom. It had two levels and water was leaking from everywhere. I remember checking for mold and wondering how long it had been leaking. I have been thinking of selling my house (which is actually a condo) and moving someplace bigger. I am wondering if these dreams are trying to warn me that I wont be able to handle the upkeep on a bigger place. It’s very strange that so many people have this same dream. I’ve had it for about 3 years now. I’m wondering if it does mean that I need to go and venture out and see what my possibilities are with my job. Most of my hidden room dreams have my husband of almost 25 years in it, and we are happy, so I think it may be my job not my relationships. All of the rooms that I discover are always different. Sometimes it’s a living room decorated like the 70’s. Sometimes it’s a discovery of two more kitchens beyond the first. Last night, it was the discovery that I had three bathrooms and a stairwell with a slide. They are always happy, even if the room is dusty, or old and decrepid. I always remember them vividly when I wake up. Perhaps I will take the tip of one of the older posts and write them down to see if I can figure something out. Maybe it all SIMPLY means that we live a life that inhibits our personal development and takes away our creative freedom. I think I do have those dreams because I dearly long for a better life with more self expression and freedom from outside pressures. Just that. But the excitement one feels when discovering these spaces is… it’s so delightful. I haven’t tried drugs but I’d describe it as being “high”. I have the return to college dream and the unattended classes. I also have the discovered additional rooms dream. Two additional dreams are: I remember an old car, like a 40’s or 50’s model, that I was fond of and I look around for it, but I can’t find it and can’t remember what happened to it. It’s not a car that I actually owned. The other dream is floating in dark space and I see an approaching comet. I feel a tremendous urge to grab it, but it always streaks by just out of reach. I think the comet dream is fairly easy to interpet, but the lost car is a little more challenging. I have had reocurring dreams very similiar to all of the above, several times now. The house in my dreams is massive and I always own it. The hallways are huge and lead me to rooms that are fully furnished and I didn’t relaize were there. Although the same, each dream is a bit different. In one of them there were multiple huge bedrooms with lots of things in them, comfortable rooms and massive but cluttered. This weekend I had a dream there were huge hallways with big stairwells and tall celiings. There was a large living room with more rooms down the hall way. We, me and others which I am not sure who they are, went into the living room to find guys in there watching football on a big screen tv. The house was clearly mine in the dream, but I had no clue about this area of the house. In the dream I was familair with the guys and asked how long they knew about the room, I think they may have worked for me. I wasn’t mad that they were using the space but thought it was funny I didnt know about it. I was excited and in awe. We currently live in a OLD home and are remodeling. I also have 2 boys who are in football and we are a football family. I guess this all ties toegther but still weird. It feels comforting in a way to find others are having this happen as well. The coincidence and synchronicity of these dreams amongst everyone is fun, however, I think each individual dream goes much deeper for each person than just that “new room” scent. I have had this dream reoccur more times than I could realistically count. It is sporadic in that I cannot think of a single time where the conditions were necessarily the same. It has occurred in many, if not every place I have called home (either for a brief time or a long time; big city or small town). The only common part of the dream, instantly recognizable upon waking or thinking of it, is that there is always an uncomfortable space through which I must crawl (almost claustrophobic, which I am not), and upon reaching the end (each various lengths and times) reveals the “new room.” The “crawl” is always thru a wooden tunnel (picture an air vent/duct just barely big enough to crawl thru perhaps 1-1 1/2 ft. x 3 ft.) the wood being the same in nature that one would build a house with. It is dark and lit with seemingly a dying-flashlights worth of visible light. I worked in a haunted house throughout high school and then years after. This attraction was basically a large maze with rooms for spooks to pop out, very dark and many, many trap doors. I presumed this was a major factor however none of the doors, actions or dimensions seem close in-dream. Certainly, none contain a cavern/tunnel with which one must crawl. “Hidden” isn’t the best term as just stumbling upon this secret requires much searching and accidental finding behind as many as 2 or more doors/rooms before the tunnel is revealed. Seemingly, I always know just where I am going more or less. Once the room is reached it is typically higher up than the level I crawl out from though sometimes it is level and does not require ascending. Here is where the “aha” feeling kicks in. Nothing emotionally moving but I suppose the same feeling as when someone finds a small treasure maybe worthless to others but a treasure to them nonetheless. From there, the story may go any which way. It may be furnished, with odd things, no cozy couches or chairs, or it may not be furnished at all. The only common recollection beyond this point is that it is typically connected to a large structure i.e. a manor, hotel, large building, with which from there are staircases, large open areas and atriums and some may be fancy, antique and quaint or some may be open and dull. I don’t recall ever being able to find my way back to this secret area i.e. seeing a friend and inviting them to “check it out” and from there the dream proceeds its merry way to the yonder. I would state this dream as a “fun” dream in which I typically look forward to having or get a sense of “sweet, here we go!” but it could be 2 weeks apart or years apart in occurrence. The more you dream of it the more it works its way into your psyche and is a dream easily remembered upon waking. If anything, I wish the details and time spent in the room were longer before “exiting” it and ending up on the other side. It is not a warm welcoming room and even when entered is barely lit enough to see all around in it. It has a “musty” smell. Anyone I encounter immediately following the discovery does not know anything about it. A friend of mine was in the enormous room with me whence I entered but was not crawling through the tunnel with me which to me accounts as an error in the script or there are a multitude of ways to reach the room each significant and unique as its dreamer. This is amazing, Im a black African living in Africa but I have had similar recurrent dreams. I dream I am in this big house that feels like mine but I discover that behind the house there is another apartment luxuriously furnished but noone is living in it. I also discover i have a huge garden with big red tomatoes, most of the ripe and some fallen from being overripe. I can’t fathom this, these dreams are out of sync with my culture. Who am I? I see the house with the door open. I entered but no people. Nothing is lost. Then the house was destroyed. I often have the dream of finding additional rooms in my house – or more like finding a whole new wing of the house! The rooms/wings are usually un-occupied, but tonight I dreamed I found two new occupied rooms. It was the middle of the night, and I found a new door in my house. I got a torch and went through to a corridor. There were two doors opposite. I was curious, not at all afraid. I went through the left hand doorway and found a bed with someone sleeping in it. The outline under the thin blanket looked strange – angular. So I drew back the blanket and found a marionette. It woke up. I had a brief conversation with it, and then bid it goodnight and left. I then went through the right-hand door. Again, a bed with a person with an extremely odd outline in it. I drew back the blanket and discovered a person asleep in full motorcycle leathers and a helmet. She awoke, and I asked her who she was. She said: “You don’t want to know me.” I was intrigued. Through the visor I could make out a dark face, a long snout and sharp teeth. I engaged her in conversation. It emerged that she was a kind of werewolf, or wolf-woman. We kept talking. Eventually she felt comfortable enough with me to remove the motorcycle gear. I accepted her for who she was and fell asleep in her arms. I’ve had a recurring dream that I own another house somewhere, I’ve forgotten about this house for years and worry about what the lawn must look like. Doesn’t make sense to me. I try to locate the house in my dream but always wake up before finding it. I have had this same dream all my life and I’m not sure if it is a past life experience. that i have to keep stopping to pick them up we are both wearing clothing from the 1800’s era. The corridor we are running through has long glass window and the ceiling is very high with a glass roof the sun is beaming in and we are so happy and the mood is light and happy. All of a sudden I’m up stair in my bedroom and its dark outside and I’m getting ready for dinner I can smell the candles burning in the candle holders I’m sitting at the dresser infront of the mirror it is so vivid I can feel the brush in my hand and I’m pinning my hair up I can feel the jewellery in my hands as i put it on and it all feels so familiar to me just normal routine. As I head down the hall from my room to the dining room there are many doors I always stop at the same door I don’t know why but i feel compelled to open it but I can’t this foreboding comes over me and as the fear rises in me I have a tingliing and vibration that runs through my body, It is the weirdest feeling then I wake up and I always have the same thoughts…I’m not sure but I feel I may have died in this room in a past life. I’m not sure this dream is for this site but I am very interested in your thoughts about this dream. I have not read all of the previous comments….but I will take the time. just had a dream yesterday about moving into a new home. there were 4 bedrooms (2 were hidden). 3 rooms had 4 beds and 1 room had 3 beds. these beds were beautiful, the rooms were lavishly decorated. I was very excited about my new home, but still haven’t explored the other side of the house. I was with my sister, who passed away on Easter 2013. really want to know what this could possibly mean??? Since I have lived in this house for little over a year. I have had this dream several times that I find two rooms and a bathroom that are not anything like the rest of the house. This house was built in 1950 and has all hard wood floors. 1 of the rooms I dream about is a carpeted room that is decorated with floral decor and wallpaper from the 90’s. it is fully furnished with a lot of clutter. In the dream I seem to think it is my land lady’s old room and stuff and I am puzzled as to why she would leave so much stuff. I also enjoy in my dream going through someone else’s stuff. The next room is an enormous empty room that has white carpet and white walls with tall ceilings. It has about a 4 foot tall ledge in the back of the room with one door that has a closet with shelves filled with board games. The bathroom I discover is decorated in the floral 90’s decor with wallpaper and a ugly floral shower curtain and toilet seat cover and it is just dusty and dirty from not being cleaned in years. I remember in the dream being mad about having to clean it. And in the end when I wake up it takes me a few minutes to realize it was all just a dream and am disappointed. I’m left wondering like all of you why do I keep have this recurring odd dream. I have dreams all the time where there are four or five beds in a room, and I’m trying to figure out who will sleep there (as if I even know four or five people to stay in this big house with five beds to each bedroom). I wonder if there’s some significance to having so many beds – one of my more recent hidden room dreams had me going through a house that had ten beds in each room! I must say this interpretation really kind of hit the nail on the head for me. I’ve had recurring dreams of finding new rooms in my home, or homes of family members of my youth for many many years. Last nights dream, however, was so detailed I knew I had to look up the meaning. — This comes on the heels of a sleepless night after making some changes personally in my life that were both liberating and left me feeling rather unsure and vulnerable. After reading this interpretation a few times and applying it to my own life circumstances, I can easily see that I no longer need to feel worry or apprehension about my choices I made. I am headed in the right direction by opening up, being true to myself and my feelings. This dreams was just my inner self exploring these new, wonderful areas of myself that have been kept hidden for many years, for terribly reasons. Today I just had one of these dreams. I’ve had them before but this one I can’t seem to shake as after discovering these cool new rooms, I witnessed a horrible accident. The dream started off as the house I’m currently in, then I found a beautiful living room with a large wooden carved front door and bay window, which I assume was the main front door of the house and couldn’t understand why I had never used this room before, then off this room there was a nice kitchen and another large empty room with chairs all around the edges of the room, then I found a new back door and I stepped outside, it was still inside the house but an open air area, I looked up and noticed loads of new floors, at least 7 floors, going round in a spiral (like a spiral staircase) and at the very top I noticed some carriages going round a little semi circle road that appeared to be built in to the top of this immense building which was apparently my home. I watched in awe as the carriages drove around above me, then came a very large lorry and I thought my goodness how can such a large lorry fit on that small road so high up. It had a large (Alsatian/Rottweiler) looking dog tied to the front of the lorry as if it was trying to pull it, then the lorry got stuck on the bend and came tumbling down from that great height, smashing into the courtyard below which looked like a builders/ scrap metal yard! Suddenly there were people all around me all in shock and I remember screaming knowing the lorry driver and the dog would have been killed. The lorry was lifted and A large hole was revealed with a huge 16th century derelict ship in the yard. I asked a young gypsy boy who worked there while crying any news on the driver and dog and he said they didn’t make it, and I screamed and cried. Then next thing I know I was back in the ‘new’ kitchen with my mother and father in law making a cuppa tea while they tried to console me but I was so distraught about the falling lorry like I sensed it was going to happen, then it did, I thought I had caused it in like a premonition type way. Don’t think I will be forgetting this dream in a hurry! I had this dream as long as I can remember. It is usually in my own house or my parents house. When I discover the room I am very excited and happy. I start to think of all the things I can do with this new room. Sometimes the room is just a small extra room but other times it is huge. I am always very disappointed when I wake up! I had my first hidden rooms dream today, only I dreamed I had forgotten about that portion of the house that I had locked up years ago and that always remained locked. The double doors had been unlocked and my adult daughter had opened them and invited friends and there were lots of people. I was upset that she had opened the locked doors and upset that I had forgotten about that part of the house I had locked up. I asked them all to leave and then I wandered around the rooms and outdoors it led to remembering each room and wondering why I had forgotten about them for so many years. There were items I picked up and looked at remembering but they had no relation to anything in my current world. On waking up I had this feeling that I had been there before and I should know where it is and a feeling of sadness that I had left and my dream had ended. So interesting to read others’ experiences with these dreams. I’ve had them for so long and was surprised when I told a friend about them and she looked at me like I was crazy. Frequently, I dream of finding an entire section of my backyard that I didn’t know was there before (around a corner of the house) and I’m always horrified that I haven’t been tending that section. My rooms are always through passageways that I never knew were there and the previously unfound rooms go on and on. So erie to read that others have almost the exact same dreams, but a relief, too! I cant tell you how facinating it is to find that my recurring dream isnt just unique to me!!! I to have these dreams. Iv had a couple of them throughout my life and strangely I remember each one of them!!! 2 were rooms I found at my Grandparents houses and the rest were at my house. I always wondered why I have these dreams every once in a while, what they ment, and why I can remember them!! Thank you so much for posting this. I was a little disturbed waking up this morning and realizing that I have a reoccurring “hidden room” dream. Same house, same rooms, same layout. The first time I was afraid, particularly of a lavish purple bedroom with a bathtub in the middle of it. This time, I overcame my fears since I have seen these rooms already. I entered and embraced a huge, bright, rustic kitchen, as well as the bedrooms, an old hard wood hallway that needed repairing, and a ballroom for entertaining. Thanks so much for sharing. Wow I too thought I was the only one having these recurring dreams. I’m coming up to 50 and have been having the same dream since childhood. Although there seems to be slight changes. People are few and different who I have never met but feel comfortable conversing with. In the past I have discovered an access via some kind of small cupboard door or coal type chute. Last night I went into a narrow storage door. The first time I have not had to crawl in. It had a few familiar tools on shelves. At the end of the narrow room was an arched narrow window. An internal window with a small claw latch. I opened it and climb through into a small bedroom. Very dusty and old and leading out to an upper stair balcony. No windows or access to stairs but a view down the centre of the small plain space which I didn’t look down. A door on the other side gained only by squeezing past the banister post and the wall. The door as always leads to old period rooms. Always bedrooms one after another. Tall ceilings and old heavy furniture. Heavy thick bed linen and heavy curtains. Unused rooms for many years and dusty. I have never seen a toilet or bathroom and now think this is due as it’s before they came into use so maybe in the 1800’s. I’m always very excited to discover the hidden rooms yet I know I own them. Running back to the beginning with ideas of how I am going to utilise these new found rooms and tell my wife. His time I met a lady sat in a large old hall with hands on her knees waiting. I explained to her my excitement and wanted her to see the rooms too. My wife tells me she has come to see where she is staying in our newly opened holiday lets (this is real as I have just finished converting an old piggery here in Norfolk). I explain there was no need for all the work outside as everything was already here but hidden. I then wake, look around the bedroom and feel disappointed as it was a dream. Only this time I found this blog! I had this dream 15 yrs ago. I was walking through a house that I didn’t recognize. Then as I turned corner and walked around. I remembered and started moving through the rooms quickly.Where I eventually ended at my old home. The people in the dream were selling my house and I was asking how much. They asked why I wanted to live there. When I reached my old bedroom I woke the couple up.They kept asking me to leave saying it was really to late to see the property. I went down the stairs that I didn’t remember and walked outside to a grocery store and kept looking for away back home. I had a very vivid dream about an extremely large house (mansion) I had never seen or been to before, yet it seemed oddly familiar to me when I began to explore it. I think I may have been looking for something, because at one point in this dream my mother and I were going through full droors and piles of stuff in like 3 different rooms of the house. Or maybe I was helping my mother look for something, because I was curious, but had no interest in any of these things we were looking at. I strayed away from my mom to see what I could find after a bit, but then lost all interest in looking for whatever. I walked up wide, large, curved, red carpeted stairs to the second or maybe third floor, but somewhere, somehow along the way I ended up in the basement. The basement was large with mostly dirt and broken cement floors with old walls and beams. It seemed dusty with things like boards laying around as it has been uninhabited for years and years and completely forgotten. I was a little reluctant to continue at this point, yet I felt intrigued and more curious so I kept going cautiously. Towards the middle end of this extremely large, long, dark basement like room I was in, there was a small, riggity set of stairs that lead up to an old wooden door. I walked up them to see what was beyond the strange old door, but couldn’t seem to get the door opened. I wanted to see what was inside so bad, but at the same time I was pretty darn frightened of what might lie behind it. It seemed as if it were wedged shut intentionally, so I gave up, and found my mother again. Then I woke up. A few weeks later I had the SAME exact dream I just described, but in this time, my mother and father were both already at the house and I was walking must to long of a distance for real life to get there for some odd reason. I felt short of time. Then I felt sort of depressed/hopeless while walking, and scared of strangers (as I am when I walk at night in a town or city outside of my dreams, because you never know what kind of sickos are out there) and some of the creepy houses that were on the streets that lead to the house I was looking for, but I kept going. It seemed like it took hours to get there, but once I did I was set on finding that door again, so I could see what could be inside after I talked to my mom. It felt like I wasn’t sure where I was going again, but I found the dingy basement room once more. This time I actually had to go down stairs to get there. I also had to walk across some sort of wooden plank bridge to get across a large deep area of dirt and breaking down old house, then I had to go down a sort of hallway that seemed to be falling apart. Finally I had to crawl through an even darker dirt hallway to find the small set of stairs that lead to the door. I tried getting the door open as gently as possible although it was a very wide, solid, heavy old, plank like, dark door. I was shocked as I soon got the door open without as much effort as I had anticipated. It was pitch black dark in there and I couldn’t really see a thing, But I could tell it was another dirt floor, but it seemed to have much more sand than the hallway before. I didn’t seem to feel very scared while I was venturing to find the door this time, yet as I tried getting the door open my fear of what could be behind it began to grow and started to overwhelm my excitement and curiosity. But it felt awesome getting the door open, but at the same time I had a strange feeling. The strange feeling made me terrified and I became so overwhelmed with fear that I just stood there.. Staring into the darkness for a moment. I thought I couldn’t wait to explore it, and I really did with a passion, but I couldn’t bring myself to just yet. I NEEDED to see what was in the room so badly it almost seemed irritating. Finally when I was working up the courage to do so, my mom called me to leave, I had no time. I found myself walking back down the windy driveway once more. I think I actually wanted to walk home that time, like I wanted take some time to blow off steam or something. I still had no clue who’s house this was or even what city it was nearby. It was in the country, not farm country, but seemingly abandoned country, with some junkie looking houses on the way and others were really nice, but the house we were at was a gigantic, antique like house, with mostly dusty, fancy old furniture in all the living rooms. I remember some strange red wallpaper in one of the rooms also. These dreams have me so frustrated. Normally I can’t remember dreams, but when I do they’re usually about not being able to help, or losing someone I love deeply. Almost every single dream I’ve been able to remember my whole life was not my “real” house, but it was “my” house in my dream, the same goes for any house of someones I know in a dream. Until recently my dreams began taking place in the town I currently live in, but theres always parts that aren’t there in real life. It’s always completely different or almost opposite. I feel lost not being able to understand so many of my dreams. It’s like I have so many questions for myself, but I don’t have the answers? Last night I dreamed about a new room on the main floor which was old, dingy and very dirty. There was a bathroom there and I kept trying to clean it but every time a mean, angry woman spirit would come out and scare me away. There was also a man in the dream and I wanted to be with him but the dirt in the bathroom continued to grow and the spirit hurt the man and forced him away. I couldn’t stop her. In the end, I was really frightened of this spirit. I came to this site to see if I could gain any insight about this confusing and fearful dream. After reading many posts and information I can now make sense of the dream. I think the angry spirit is me and how I have sabotaged my relationships with men in the past. I am deeply ashamed of how I behaved before in past relationships. I have been reluctant to be in a relationship over the past many years but have recently been contemplating trying again. I can see by my dream that I may not be ready. The bathroom usually symbolizes public embarrassment for me and I think I am feeling vulnerable about my romantic history and constantly having relive the embarrassments of what happened when I was younger. I think the reliving is why the bathroom won’t come clean in the dream. I know most of us humans want to be afraid and deflect the scary parts of our dreams, I felt that initially with this dream. However, I remembered that nightmares, for me, usually come from a place of shame about something I have done and don’t want to face or acknowledge. Once I own my part and the shame is gone so is the bad dream. I do wonder if there are other dreamers out there who frequently have bathroom dreams? Or dreams of moving downstairs from the upstairs? I have those often, too. Thank you for creating this lovely site! i occasionally dream that there is another part to my flat that i havent visited since i viewed the flat and i decide to visit and its like a complete flat which is usually unfurnished and is off a garden or i have to go through another flat or down a basement or something to get to it. i had one just a few hours ago during a long nap where i remembered that i had a whole flat at the end of a garden and the bedrooms/kitchen bathroom were ok when i viewed 5 yrs ago but the living room was like a warehouse and needed clearing out !. i was thinking that it may have squatters or windows would be smashed by now as i had not visited it in over 5 yrs !!. I have had a vivid, recurring dream on and off for the past 10-15 years about a small apartment that I used to live in before marriage and kids. I have had this dream so many times that I can recite all of its variations in detail. In the dream, I know that I have a family and a house, but I go back to the apartment to clear it out so that I can finally move out. I am still paying rent after more than a decade, but not on a regular basis and I owe a lot of back-rent to the landlord. When I arrive at the apartment, I find it comforting and weirdly expansive (lots of hidden rooms and extra bedrooms, various pets and plants that have somehow survived my absence, a huge, bright kitchen). The apartment building is brick and in a historic district, and that appeals to me as well. Sometimes, in the dream, I find hidden rooms behind walls or in a separate building, and sometimes I encounter old friends who have died or with whom I have lost contact. In the dream, I feel guilty. Part of me wants to stay but it would feel like a betrayal to my husband who is unaware that I am holding on to the old apartment. (This is a place that I have never left completely, but have visited secretly from time to time.) I feel anxious and overwhelmed about the fact that there is so much stuff to box up and move out (a whole dressing room full of clothes; an enormous kitchen full of dishes, food, pots and pans; so much furniture). I know that I will be unable to clean up the place on my own, and I am worried about the landlord coming after me for the back rent. Sometimes in the dream, the landlord comes in to show the apartment to prospective tenants and I try to hide. In real life, I don’t have a lot of possessions – I feel burdened by having things that I don’t need. The last thing I would want, in real life, would be an extra apartment full of abandoned things (even living things!). However, I imagine that the dream is more symbolic of emotional baggage. Possibly trauma or regrets, relationships or other commitments that I ran away from. Possibly difficulty I am having with letting go of any number of things. Has anyone else dreamed of a secret old apartment? This article and the responses are great to read. I’ve been having them for 10 yrs or so, I’m 42 now. It’s usually a house that feels like the house I grew up in, a friends house, my parents house but it looks nothing like any of them in reality. None the less it feels like a familiar house. In some occasions the house is fully furnished but last nights barely had furniture. Sometimes it is brightly lit and sometimes they are dark. I remember some taking place in upstairs rooms and some in the basement (which are the scarier ones) most times I feel an unseen fear close by. Some hidden rooms have been short passages through closets, corridors and out to existing rooms, while most seem endless. I’m usually accompanied by a person or persons I don’t know like last nights dream. In this one we traveled through dark vacant halls of a familiar feeling house/apartment with a hole in the wall that led to rooms that went on until we came upon a darkly lit room where 2 vagrants that had made themselves a living area. A mattress, small tv and random scattered mess about. After chasing them off, we continued on to finally find an end to the cavernous halls to a back room. This back room was similar to a back porch with a window and it overlooked a great expanse of hills and forests. This one ended on a high note and it was quite a view. I have dreamed about houses since I was a little girl. Almost always old houses that I was exploring alone. No expanding rooms when I was a kid. Now I’m 51, and I’ve been having the same type of dreams with additional rooms I didn’t know were there almost every night for several years. The house is usually mine… i have purchased it or inherited it, and usually I’m aware that I’ve been there before. Occasionally it is an apartment or an old workplace, often it is somewhere I have lived before in real life. I discover room after room. No tight spaces to crawl through, just doors that open into huge rooms that are unfurnished and look very old and unused. I am excited, as I plan what I want to do with the newly discovered rooms. Sometimes I find a room with no ceiling and roof, which I plan to make into a beautiful “garden room”. Once I opened a door and have no memory of what I saw inside, but I immediately closed the door and vowed to never open it again. Sometimes I find a filthy bathroom and I start scrubbing and cleaning it even though the smell and sight of the filth are making me sick. Usually I’m just intrigued and excited and can’t wait to share my new found space with my loved ones. Most everyone here on this forum has described my dreams in one variation or another to a tee!! I wonder what they really mean! The above possible explanation does make sense, for me at least, as the last several years have been ones of major change and self-discovery for me. Wow! So interesting that so many others share my dreams. I had this kind of dream last night, I was living in the same house I am now (which I’ve lived in for 13 years now since I was 8) we had knocked a wall down behind our bath and discovered an adjacent bathroom, that was an odd shape with two bright rectangular windows along the right side, but again like other people in this post feeling, “wow I can’t believe this has always been here” it needed work there were broken tiles everywhere and mould but I was very exited coming up with plans to decorate. I then discovered a tatty door at the back of the bathroom which led to a long dimly lit stairway with another door at the top which I hesitated to open and inside there was another room decorated with old furniture and old black and white photos on the wall with my grandparents in when they were younger with their brothers and sisters, the pictures moved sort of like the photos in Harry potter where they capture a moment and play it back, and I remember one of the photos was my grandad with some of his brothers on the beach laughing and pushing each other in the photo, which is pretty bizarre. This room led to another room which was very modern and business like it had windows all around showing other parts of the building I hadn discovered yet that looked like a secret concrete warehouse, only this time I knew people came to this place. I heard people talking and hid to the side of the window and saw a line of men dressed in futuristic armour (a bit halo like) and new I had stumbled upon a very top secret place. Although I didn’t find out what this place was about as I went into another completely unrelated dream. There was another part of this dream I had, although being how dreams are, I cannot remember where it fitted in. there was a dark section I had discovered which was like a whole other house connected to ours but it was old, wooden, abandoned and the furniture was covered in sheets and everything was quite dark in a sepia tone. I was exploring with somebody else, we both had a very bad feeling about this place it was really creepy and I kept seeing dark shadows out of the corner of my eye. Trying to chase and follow it I could never catch it or get near to see what it was, although I’m quite glad I never did, I don’t think I would be that brave in real life! In comparing the dream to my life I am about to be promoted and moving work place, so maybe discovering the rooms comes from discovering new potential and confidence in myself. However I’m also nervous and a bit scared of joining a new team and that could be where the dark frightening side comes from. I love dreams so I thought I’d share as this dream was so vivid and I felt the meaning matched so well to my real life at the moment, maybe some of you are going through a similar change. Thank you for getting to the end! Heather, you are at a point in your life where you are making a major decision in your job. The bright parts of your dreams are symbolic of what God and Jesus Christ are planning for you in the future. On the other side in the dark portions, Satan and his evil minions are upset over the fact that you will do good things that will influence others down the road in a positive way, and Satan is trying to scare you away from doing something good. Don”r be afraid to ask older wise people for advice, as your elders will be more than happy to help you achieve your full potential. You will be a successful lady as God wishes for you. I have the dream too whenever I am seeking God passionately. The old house isn’t mine or one I’ve ever lived in, it’s just old but not worn down or decaying in any way. I search the halls and the staircases and eventually come to a new part of the house, usually a bedroom, the dream ends at that point. To me it means I’m on the right path and will find rest in Jesus. There’s always a major spiritual growth following this dream. Hope this helps anyone else who is in a similar situation. Good respond in return of this matter with real arguments and telling everything about that. I am amazed that the number of people who share this same dream. This dream comes to me every couple of months. Last night’s dream was particularly vivid. The dream started in a 2 room apartment that, though not the one I currently live in, I felt as if that was home. I discovered a little room in the back of the apartment that was sparsely furnished with an alcove and bay windows. At first I felt frustration because the thought that this room had been here all along seemed like such a waste. I have been living in small city apartments since leaving college and have always needed more rooms. From that hidden room I then found a few steps the led me down into what was more like a den area. More doors opened onto other rooms. I sometimes would have to stoop down to get through smaller doors, or climb up more steps. It was full of twists and turns and fun to discover what the next room held for me. I finally discovered that my apartment was once part of a large church or cathedral that had been renovated into apartments of varying shapes and sizes. Upon discovering the first few rooms, my first thought was that I needed to list these rooms on Air BnB and make some money off of it. Then I thought about my work colleague whose lease was not renewed and is looking for a place to live. We could be roomies. My mind went wild thinking about the possible renovations I could do to the space. I hated to wake up as the dream made me feel excited for the future and as if I had a purpose. Now after reflecting on it today, I think I have to do a major clean out of my apartment and free up some living space. It might also be time to repaint the entire apartment. For me, the room is in a huge building that feels like a school. It’s gleaming and full of items I can’t remember now, but in my dream I was fascinated by the objects in the room and spend a lot of time exploring it. At the same time, some kind of authority figure was looking for me. I felt like I would get in big trouble if they found my secret room… I had to leave the room to protect myself. I can’t stop thinking about the secret room. I want to go back there in another dream. It is the only dream I dream. Finding rooms that never existed in every house that I’ve ever lived in and wondering why they were never used. Or walking the streets endlessly. Or trying to bath in public toilets. The same dreams over and over again. I have had the same dream over and over since I was a little girl.. There is this huge house and each room is so crazy.. Like the living room is a tropical paradise with water falls and the other rooms are like a bar with a stage then a dressing room with tables mirrors and spinning chairs.. Only last night I ventured down a spiral staircase and there was a huge concrete basement with a carasouel in it.. I was carrying a faceless baby in my arms.. When I got to the bottom of the stair case I seen that the carasouel had evil scary clowns on it and they were holding babies too.. Then this women started coming towards me and I tried to go back up the stairs but couldn’t.. Then I was screaming for Miss Ellie and I don’t know anyone with that name.. My husband woke me up before I reached the top of the stairs.. Please can anyone help me with this dream?? I thought it was pretty freaky that I had the same dream over and over for more than 40 years. then I looked it up online and was astonished that other people were having “my dream”. strange indeed. I am firmly convinced that the house is you and that the new rooms are hidden or undeveloped aptitudes of yours. you may stop having the drế ẩm when you open yourself to new experiences and to learning new things. All the best to you. I had a dream that I moved into a house and there was an extra room in the back of the house with alot of table and a cash register. I was trying to figure out how to put it to use. I was thinking of business ideas. I don’t remember anymore of the dream. Anyone have any idea what that could mean. I have been having the “house” dream off and on for at least 30 years… always the same house but looks different each time. Usually it is dimly lit and dark-ish, and always looks like a rich persons house, very luxurious. Sometimes there are people in the rooms (usually I don’t know them) but most of the time I am alone. The house is always old with high ceilings, very fine woodwork, old world craftmanship, and luxury furniture. This luxury however is overshadowed by the lighting which is always dimly lit, and the colors are not very vibrant but drab… it also appears that no one has been in the room for a long time and it’s been abandoned and many years since someone lived there. Although the lighting is dim, it doesn’t come across as scary, just really drab and mysterious. There is usually something in the dream I recognize… an object maybe, but most of the time this is a room I have never been in before. Like many others have said I was surprised to find that others have had this house dream of a similar nature… old, dark, luxurious, mysterious, abandoned, etc. It really makes me wonder, why? I can see why people would have a house dream, that is very common… but one that is so distinct, relating to the decor and “visual mood” of the house (?) that to me, seems very intriguing. I have been having this dream on the regular lately, several times a month, and lately several in the same week. There have been long spans of time when I never had the dream, so I don’t know what to make of this recent spurt of “house” dreams. Anyone else dreaming this dream more than normal ? It’s currently July of 2016. I would describe my house dreams very similar to how you described it- except I am always accompanied by some member(s) of my family..brother, mother and there are a few members around the house. Recently I have had a reoccurring dream of me finding this basement in my house. I don’t have the dream very often though, it’s maybe once a month if that, but I know I have had it a couple times. I have lived in my house all my life and we do not have a basement. In my dream I find a trap door and I find this place. I seemed to be looking for something down there or perhaps I am just curious of the area. Everytime I go down there though I have this sense of eerieness, and a bit of fear. The area is very dark, dirty, and creepy and there are spiders everywhere. What’s weird is I come to this one room that ends with a door with light coming from behind it but I remember being too scared to go up to it so I am pretty sure I turned back. I woke up soon after this so the memory is a bit blurry but I am pretty sure I didn’t go near there. Also at one point I found a spider in my shoe that was left down there for some reason and I had to shake it out of my shoe.. I actually just remembered having another strange basement dream but this one was different and I haven’t had the dream in ages but this basement was larger and seemed to go on forever and I remember exploring it with friends…weird. This is really well put together and very interesting. I often have this reoccuring dream of discovering new rooms in a house I thought I knew well. Last night it was a new bathroom! But other times it can be almost the size of the house again! Ironically I live in a flat, so that might have something to do with it! I’ve also wanted to change careers for several years and that is probably part of it too! Thank you for this interesting article . I dreamed of finding a house that was barn red in color. As I entered the first room it was small and barn red in color and with a lot of windows like a sun porch. As I entered the other room it had dark purple walls with flower embossed med. purple carpet. The third room was the big surprise, It had 2 water fountain that was dry, but in the middle of the room it had a large swimming pool that was filled with dirt with a hole in the middle like a cave and little purple and white striped tropical fish was coming to me as I entered the pool. I was happy because I found a house with a indoor pool. Pingback: Drömmar om gömda bortglömda rum | It's Elin, is it? I’ve had this similar dream three times now within a few weeks. I don’t normally remember my dreams but these have been so vibrant and left me with such emotion. My husband and I moved into our home less than six months ago. It’s a really big house that’s over a 100 years old. The first time my husband is with me and we’re walking through our house for the first time with our realtor. We go through the parts of the house that are here in real life, then we are led to a whole new wing. Endless huge lavish room after room. They’re fully furnished but dated. Abandoned is a good word but not dirty or dusty. I have mixed emotions about it. I’m excited about the potential of the space and the antique furniture but I’m also confused why the previous owners would leave it all behind. The second time was a shorter dream. Same rooms as the first but I was with my daughter instead and I remember thinking “oh yeah, what about all those rooms I forgot about?” We go in and look at all the cool things left behind. The third one I just had the other day. My husband and I found an extra bedroom, closet, and bathroom. This time the room was a little darker and a little more cluttered. I’m happier about finding this space though because it’s size doesn’t overwhelm me. Most of the time I have a very hard time remembering my dreams but these have stuck out so much! I wake up everytime so excited and think “oh my gosh I have to go see these rooms right now!” Only to remember it’s a dream. The weirdest part about this dream is that I actually did find a hidden space in my house the week after we moved in. I went to take a picture off the wall in a closet and found a hole in the wall big enough for someone to fit through. Behind it is a small space with a window. It’s directly above our stairs to our basement. Creepy right? Your dream is very much like mine! The antiques. The rooms I did not know existed. That space you found in your house is soooooo interesting! I have a recurring dream where I find new rooms in my house. I always know it is my house but it may or may not resemble my actual home. I am 67 and have had this dream since my early 20’s. Wow! I had this dream again last night. I am generally in my home (but not my actual house) in the dream. The rooms I find — and it is always rooms, plural–are filled with incredible antique, ornate furnishings. These are things I am surprised to learn I had in my house all the time–things of such incredible beauty and value. I, too, enjoy the rooms at first, as I walk from one to the next. But then, something sinister shows up. I never quite know what it is, but I need to get out of the “basement’ or the :”hidden rooms” and get back to where I began, but I can’t. I also don’t want to leave the rooms because I may never find them again. But the anxiety is too great to stay. When I wake, I am usually exhausted still and desperately want to go back to the rooms and live there with the beautiful antiques. Can anyone explain the antiques and the sinister nature at the end of the dreams? I understand it has something to do with hidden areas of myself or my life….but the rest leaves me so very tired when I awake. I have also had these dreams most of my life (65 years) but I do not remember the last time I had one. I am always in a house I used to own, but I am not supposed to be there. The current owners are having a party, or guests, and I have entered thinking I will not be noticed. I am enjoying looking at my former house and remarking on the changes the new owners have made to it. Then I notice a door I have never before seen. I open it and need to squeeze into it to get into the new room. The room is never in the basement, but in an upper level, usually just a few steps up, and not a full flight of stairs. The rooms are always a beautifully decorated living room or a bedroom with a fireplace and windows out to a beautiful vista. I love these infrequent dreams. So glad to read that others have them too. I would have never thought that I would find such a vast amount of people who share this dream. I have had this dream 4 times over the past 5-7 years; the most recent being last night. The first two, I dream I discovered a third floor in my ex in-laws house. In the first one it was beautiful and wonderful in every way but I do remember feeling like I wasn’t supposed to be there so I kept very quiet about finding this. In the second dream the only difference was that it wasn’t as spectacular. It was a little more run down but still exciting and amazing that I never knew it was there. I don’t remember much about the third…my husband actually reminded me about it when I told him I had this dream again. In that one I only discovered a room or two. Last nights dream was phenomenal in the fact that there were actually other people in my dream that I was sharing my amazement with. It started with me being in my daughters room and wanting to rearrange or fix up in someway and while doing that I discovered that she had three closets. Upon leaving her room I noticed another door down the hall and when I opened it, it led to a massive new floor. It was like an attic with just wood beams and plywood down but I found more bedrooms bathrooms and probably 1200 square footage of living space. I went to get my husband because this was just so exciting and the possibilities of what we could do with this newly discovered space was just filling me with such joy. Husband wasn’t excited or even curious as to how we lived here and didn’t know about this space. That’s when I woke up slightly disappointed that this was again just a dream but fascinated that it reoccurs with such differences and that so many other people have similar dreams!! I can make each dream fit any event in my life so I don’t know if there is really any “meaning” behind it but I can’t wait to have another one! I don’t believe this. I’m the type of person who likes the idea of this whole type of thing… an old house with many rooms, wondering who lived there, and how many people took it over. I love old historical buildings with a past. These types of dreams probably do not occur in people who never have these thoughts or feelings to begin with. I often dream about a big house, not one that I recognize, usually there is one huge room decorated in a dark red, with a door on one side that leads to a bunch of hallways that makes a kind of maze, there is a bathroom when you walk through the halls, I have dreams about running through the halls from the bathroom, screaming at the bathroom door “I am not afraid of you” and “You cant hurt us” there is another door on the side of the hallway that leads to smaller room, there I usually find my family (They disappear as soon as I try to speak) , another door across the room, This leads to a big dining/Living area that has an open plan kitchen, on one side there is a small room with a TV and a window, outside the window there are usually a bunch of people walking around, most seem drunk, the house does not have a door that goes outside, only one that leads to a small patio area (outside the smaller room where my family usually is) and over the railing on the patio it looks as if the house is on a mountain, high up. I am almost always running and screaming and hiding in the house with my daughter in my arms, but every dream is different in a way, the clothing, the decor, the weather, etc, and when I get to the Small TV room I always try to break the window, but cant and then I wake up drenched in sweat and crying (I usually get my daughter from her crib and hold her while she sleeps because I cant sleep again). My cousin has heard me scream “Leave her alone”, This is freaking me out more and more, this dream occurs about twice in a month. Hi Carin, I wish I interpret your dream accurately. There are people you do not trust in your life, that may have hurt you, that little girl is your defenseless young self and yourself trying to safe yourself signifies you wish you can change the past. And the disppearing of your family indicates that you believe that they cant help or dont care. the limited number of area you keep seeing is a more positiive relevation that the past and hidden emotion you need to deal with is not a lot. 2) in 2 or 3 dreams, not only I found out that there are more rooms or kichen in my house, some of the door were not lock and I begin to worry if any intruder has came in and out without my knowledge, and I quickly lock the door, and search the whole house to make sure no one is hiding, as a result I found out even more rooms and bigger hall like a gym center or sport center. Thank you for this article. I too am amazed people have these similar dreams. I have been having dreams about finding hidden rooms in homes I have lived in or are living in repeatedly for the past few months. The rooms I find are bedrooms, vast furnished rooms, basements but they are always haunted and scary. You can’t disturb the furnishings, some kind of ghost or worse is always in the room. Some of the homes have rooms with other families living in them and they go through the house to get to their room. Sometimes water is seeping into the walls, several have had severely water damaged walls. Recently the bathroom had a window in it that looked into the garage, no light coming through. I am always afraid in these dreams. I can’t figure out what it’s saying but I have them so frequently that it worries me and I feel confused and concerned about why I keep having them. I am not a fan of scary movies or shows. I’m a religious person my entire life. I have never had any paranormal experiences, I would move if I did. I have a recurring dream, it happens probably once every 3 months. I feel as though I am “building” a house in my consciousness. The first time I had the dream it was what everyone is describing, where I am in a house (in this case it was the one I currently lived in), and I find a door I never knew was there, and it leads into an entirely new part of the house. The first time I had the dream, the door was in the basement and led to another “basement” where there were new bedrooms, a garage, and one of the bedrooms was all windows, and it was in what I perceived to be a jungle or heavily wooded tropical area. The dream was a great time, exploring the house, and eventually my friends showed up and we just hung out and talked about how cool it was to find this new part of the house for the rest of the dream. In the meantime, in real life, a good friend of ours moved into our house because her living situation had changed. She is super into puzzles and crafts and that sort of thing. The next time I had the dream, I was in the same house as before, and that “new” basement was there – but there was a new room down there – an arts and crafts room. I wasn’t that surprised about the dream. I’ve always thought these dreams were my brain’s way of coming to terms with a change in life, and this is how it (err…I) displayed it to me. I thought that was really cool though – I never feel like I have control in my dreams, as in I always think my dream is real as it’s happening, and when I woke up I was kind of impressed that my brain went back to the same house and added onto it. I would keep having dreams about that house with small changes, or no changes, it would just show up in a dream here or there. Then one day, about a year after I had that arts and crafts room dream, in real life I got an acceptance letter to the school I was hoping to get into. I was super psyched! It consumed my thoughts for the rest of the day, thinking about going to school there, moving (6 hours away), what life would hold for me out there. That night I had the “new room” dream of all dreams. I went to that house, and discovered a mirror that had been hanging at the end of a hallway had been hanging on a “door” the whole time. This led to a new area that I can only describe as a roomy studio apartment, along with an awesome brick bathroom. It was my dream apartment, something I would be really happy with having when I moved away. But that wasn’t all. In my dream I called my best friend and was on the phone with him, describing what was happening, that I found a new room. He had been my roommate in the real house that my dream was based on, so I told him to open the door that the mirror was hanging on when he got home (apparently he wasn’t home in my dream – like he wouldn’t be there when I moved). I stayed on the phone with him, as I found the apartment had a door that opened up into even MORE new rooms. These two rooms got progressively more unreal, but I don’t put too much stock into those rooms as at that point I was discovering new rooms off of my new rooms. But it was a blast all the same. I’ve never been scared or anxious during these dreams, it’s always a great time and usually my friends are there. Like I said, I think this is how I internalize or rationalize changes in my life. I’ve had these dream with other houses (parents’, grandparents’, other houses I’ve rented, etc.) but this one keeps coming back. On another note, my dad has had similar dreams, but he always has to crawl through a very small space – something that he rationalizes as remembering “birth”, as though a baby getting through a tiny space and finding a new life. Anyway, that’s my story. I’ve never heard of anyone have a dream like this where they go back and add on, so if you have, please comment back! Thank you so much! I will have to do some soul searching and find out what I am really struggling with. I really appreciate your insight. I have the same recurring dream also. It’s always in a house that I have lived in or a home I own. I’m always excited about finding the hidden rooms and wonder why I didn’t know of them. Many times the rooms are large and need decorating. Sometimes I find very interesting items in the rooms that I didn’t know I had. These roomsare ofte. rooms that I knew about about but for some reason have not entered in a long time. When I go into them there is often a sense of nostalgia. I see old photos of my family and friends, old objects too that I thought I lost. I just woke up from one such dream a moment ago. I had this strong desire to clean the room and to start using it again. These rooms are often rooms that I knew about about but for some reason have not entered in a long time. When I go into them there is often a sense of nostalgia. I see old photos of my family and friends, old objects too that I thought I lost. I just woke up from one such dream a moment ago. I had this strong desire to clean the room and to start using it again. I dreamt of finding this large and light room, and it wasn’t the first time, only this time it was big, light and didn’t think it needed much work at the time. I have these recurring dreams of finding new living areas too, They are very frequent and vivid. I just had one such dream couple hours back. My family was with me in this room. I found some well built and attractive closet space there which I remember saying to my husband that I really liked. I found many beauty products in the closet, like perfumes and lotions that the woman living there before had left. This room was in my house but none of us knew about it. I remember my son opening the patio door and it was raining outside. There was another window like opening from where I saw that the rain water was coming inside the room. But the previous dwellers had made a way in the floor for that water to be carried and drained outside of the room. I really liked this room and felt like we can really use it. I have had the dreams for maybe 10 years now. It started out as us a new home so it was empty and it was exciting. Each accuring dream has been the same house, we are going through and discovering new empty rooms. The rooms are always kind of drab nothing special but i was always content and surprised. I lost my husband 2 yrs ago this comiing February. Our 50th annversary will be this New Years eve. Last night i dreamnt of being here at home and walked through a door to a new empty room then a 2nd room. Both of the rooms were old and drab but livable. Out of the corner of my eye i saw a gray baby fox going into the main house from the empty room i hurried to the open room of the main house and their was my husband i looked at him and told him there was a fox in the house and ran through. I found a gray striped kitten then the fox appeared, i grabbed it by the scruff of the neck and started to the front door to put it out and woke before i got there.